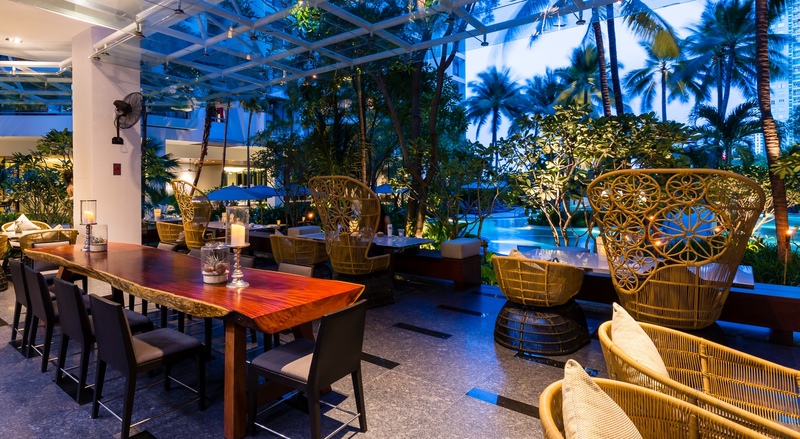 Bangkok, July 2015: With the Bangkok summer season close to heating up, Chatrium Residence Sathon Bangkok is ready to launch an oasis inspired lounge, Flow Oasis Pool Lounge. Located on the podium level, 4th floor, overlooking lush tropical gardens and an undulating lagoon pool, Flow Oasis Pool Lounge offers an opportunity to escape the hectic hustle of the city. The environment is an oasis of calm. The lounge itself is designed to provide an exceptional ode to nature within the tropical landscape. The use of feature lighting, luscious marble and natural timber gives the design a sense of quality and distinction. A brand new sitting area, furnished with in vogue and elegant furniture, offers light snacks, refreshing cocktails and a lavish Mediterranean menu. “The Flow Oasis Pool Lounge is Chatrium Residence Sathon Bangkok’s signature pool bar concept with a twist. Combining the modern ‘crafted by nature’ castaway island design theme with a transformational personality, it changes from a ‘Slow Days’ lounger into the ‘Happening Nights’ hang out hotspot. 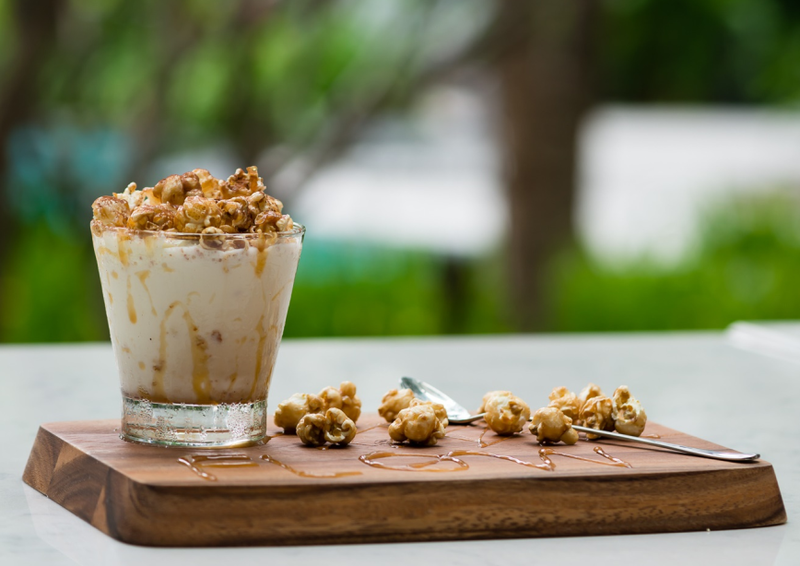 We would like our guests to be able to explore the flavours of our delicious Sip & Dip creations, hang out with friends, share moments with family and enjoy the oasis lifestyle around the iconic long wood table. Our culinary team creates casual dining from tapas to a full meal throughout the day. Flow Oasis Pool Lounge is your new secret spot to escape the everyday” said Mr. Magne Hansen, General Manager of Chatrium Residence Sathon Bangkok. Whether guests are in groups or travelling alone, Flow Pool Lounge can host up to 40 people. It is designed with wide open areas for sitting, connecting, interacting and relaxing; including personal areas where guests can read, use laptops and work leisurely at any time, giving a touch of luxurious comforts and putting guests at ease right in the city’s oasis.